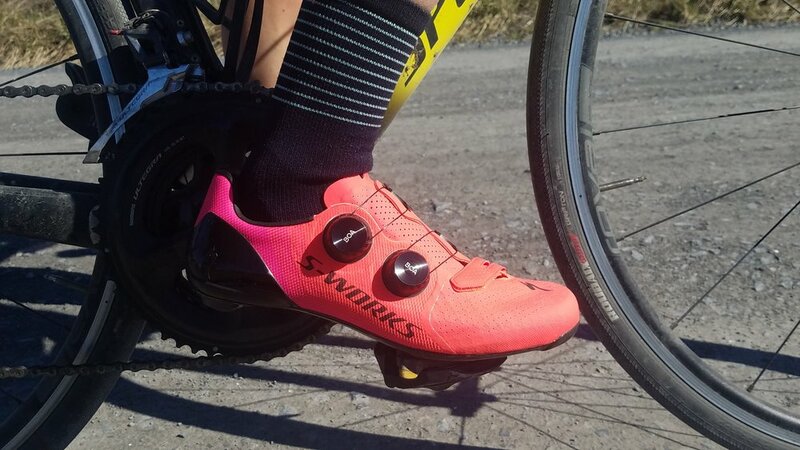 Specialized came out recently with the new 2018 Sworks 7 road shoe, and when the opportunity came up for me to purchase a pair, I couldn't let it pass by, especially with the limited edition Acid Red/Purple colorway showing up. It felt like the synthetic leather material shrank a bit after a ride out in the rain. When my Sub6 shoes were new, the fit was pretty great. After a couple of months of use, though, I noticed my toes started to feel a bit jammed in the top of the toe box. Wasn't too happy with that, but was able to put up with it. I felt like someone had put a motor in my feet. Honestly. I actually said that to someone on the ride. I definitely noticed the increase in stiffness, especially when we were hammering or standing up on a hill. There's also a ton of air flow through the shoe, most likely thanks to more/larger perforations in the tongue. No hot feet this summer! I really like the new PadLock™ heel design. Though I never had an issue with the old design while riding, I do know a bunch of cyclists that couldn't wear the shoes because of it. The one issue I did have with the old heel cup design was how challenging it was to just get my foot inside the shoe. That problem is completely resolved now. 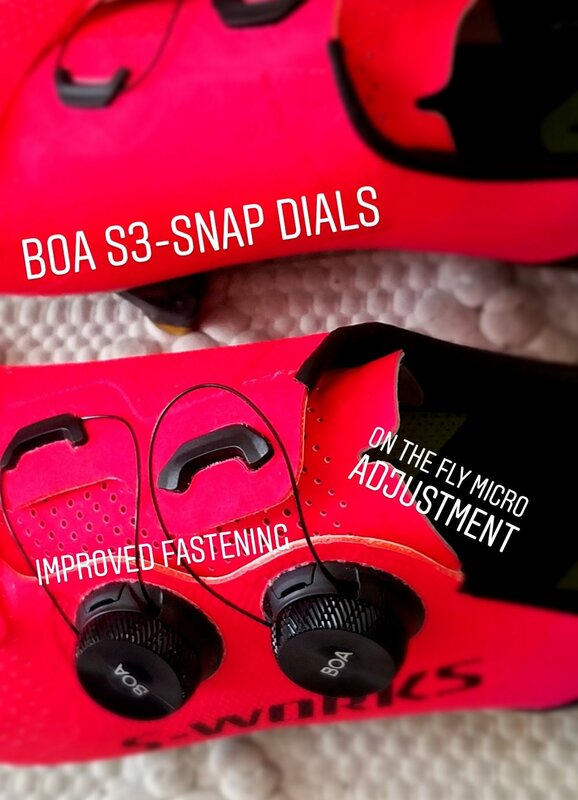 With the new Dyneema® Mesh material, the reshaping of the outsole, the new Boas, and the new PadLock™ heel cup, Specialized has made a shoe that fits like a glove, but doesn't constrict your foot. I'm very pleased with this shoe and am quite excited to race with them this coming road season!